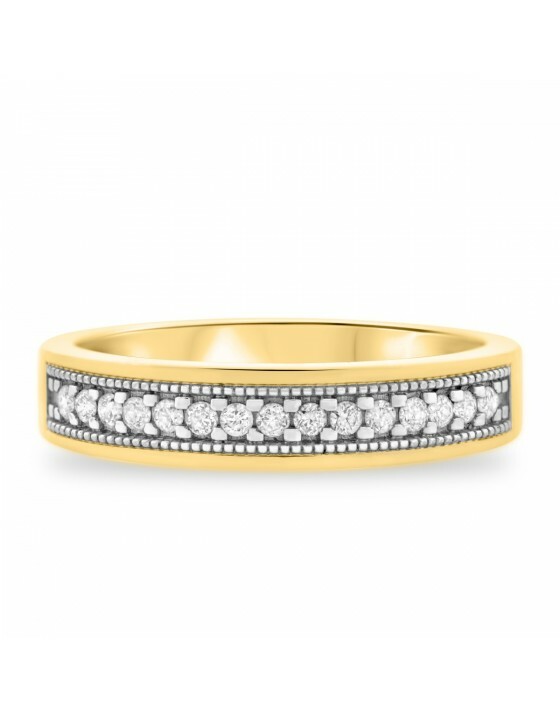 This diamond Ladies Band is crafted to match perfectly with the engagement ring and matching men's band. 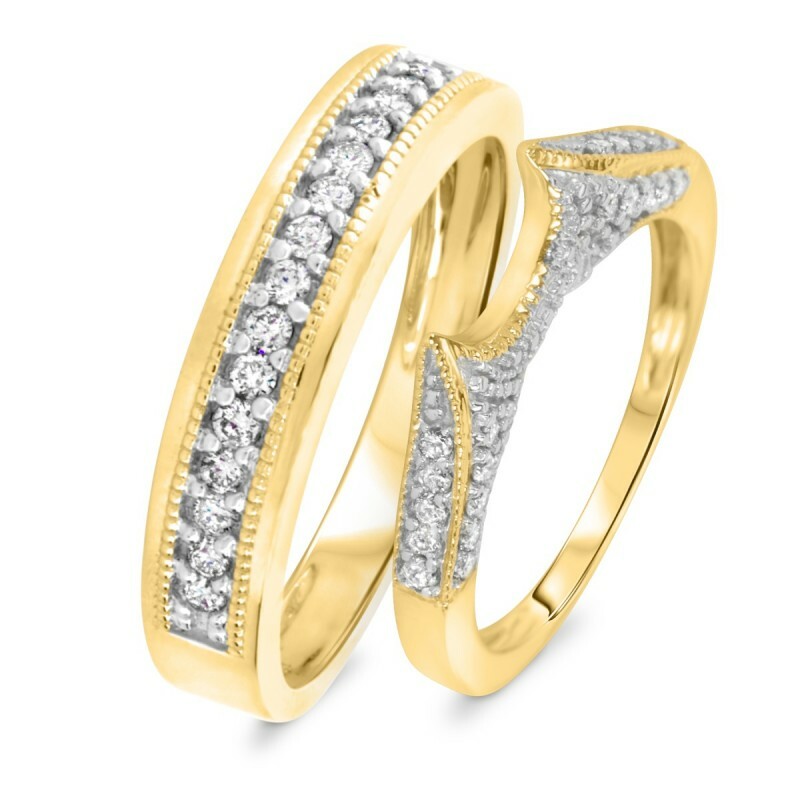 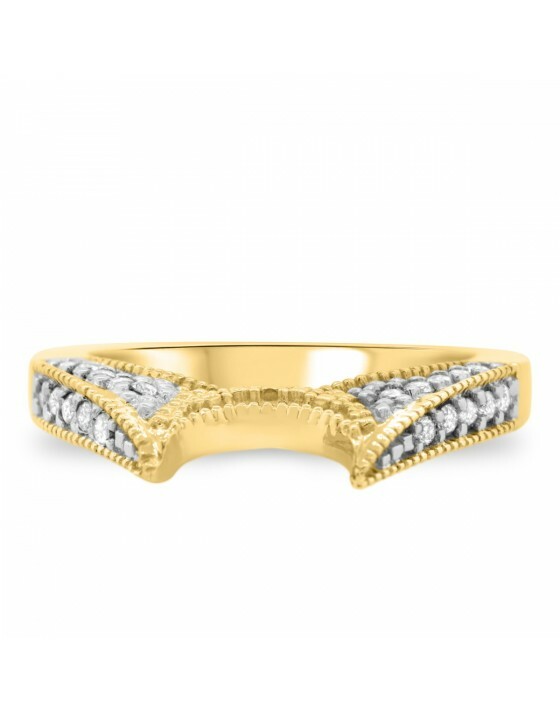 This astonish 20 authentic round cut diamonds Ladies Band set features pretty textured milgrain design crafted within a dazzling 10K Yellow Gold. 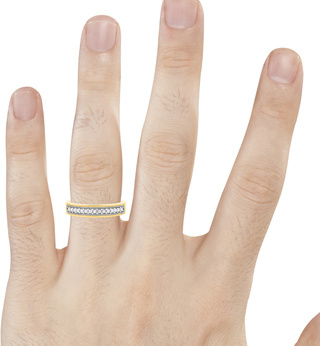 If you’re the type of guy who’s jealous that your wife gets to wear all the fancy bling, you’ll love this Engagement Ring. 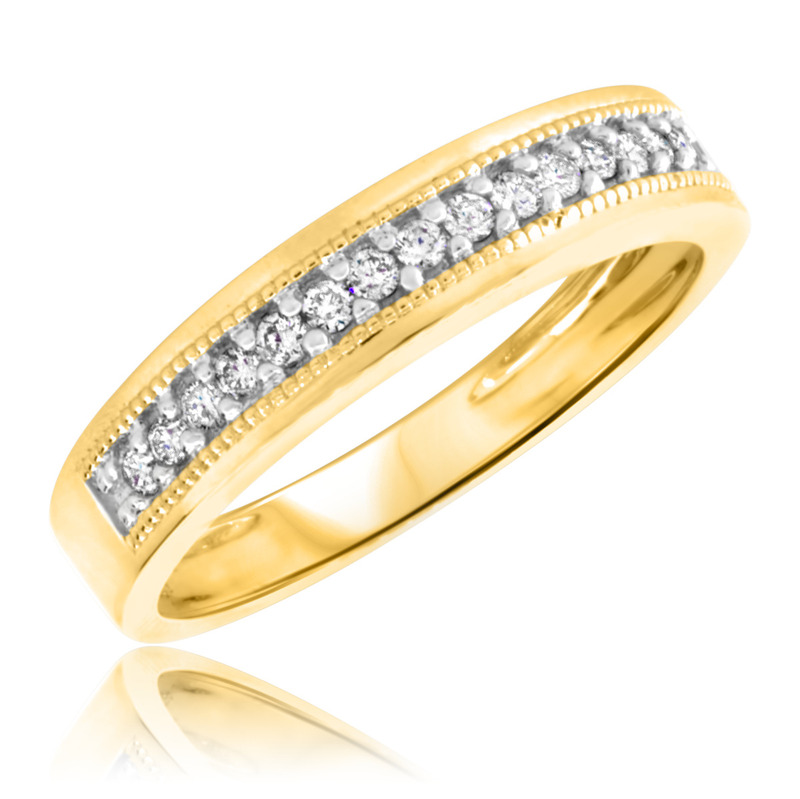 It matches your wife’s ring but has a sophistication and style of its own. 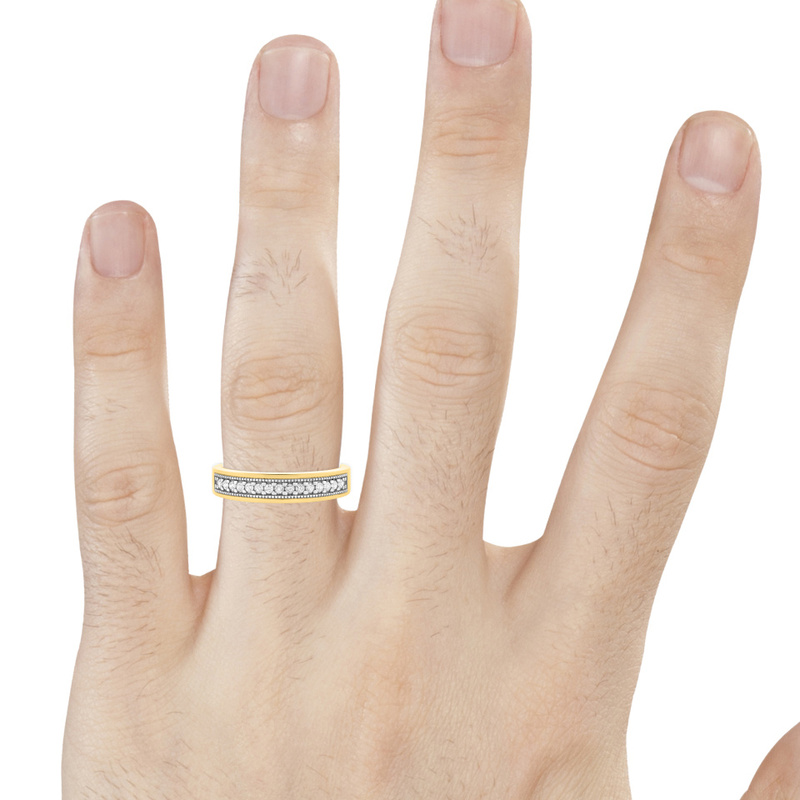 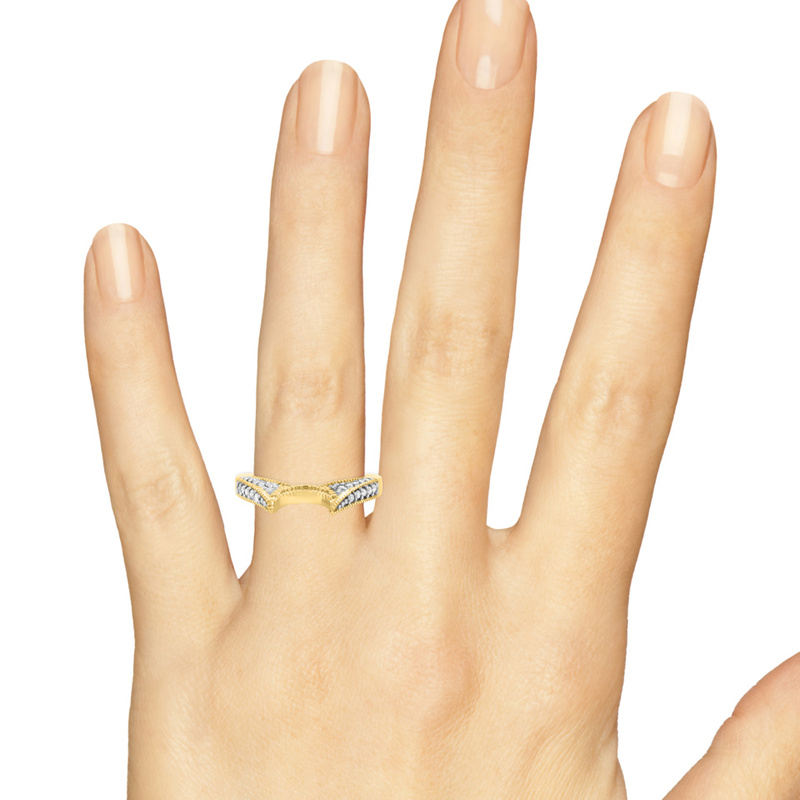 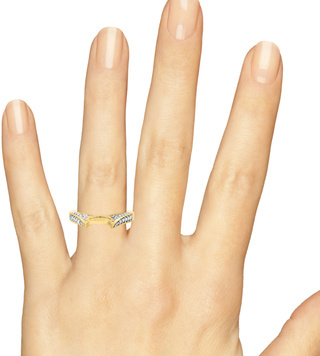 This ring is 5.35 mm wide, giving it a prominent place on your finger. 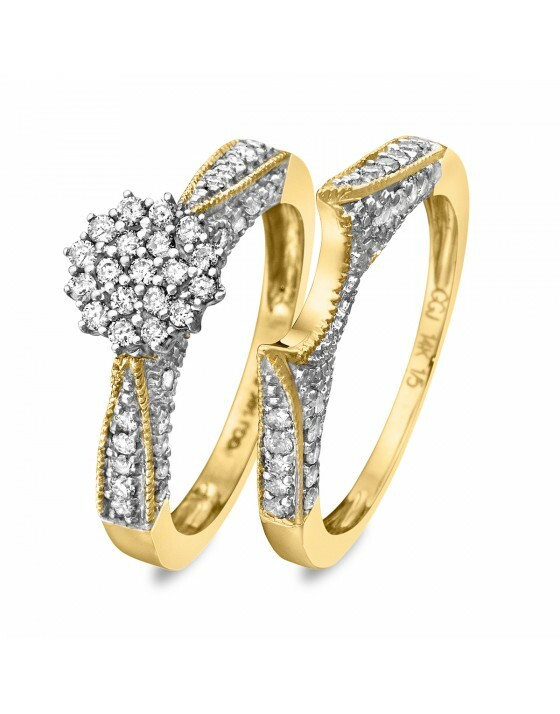 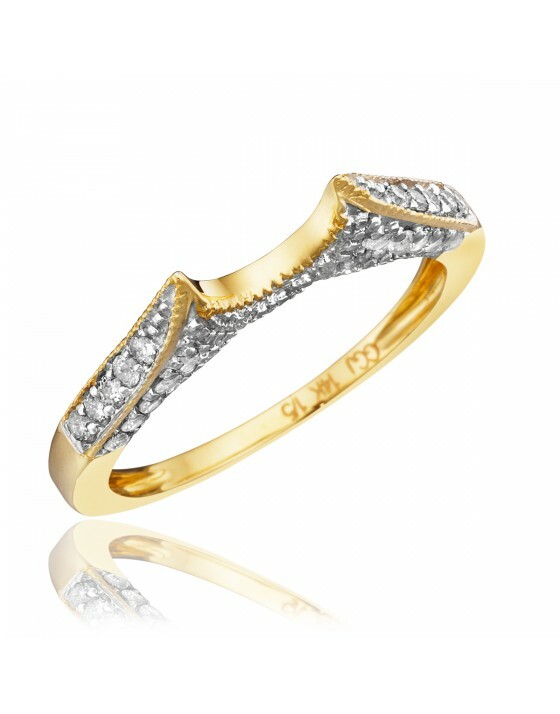 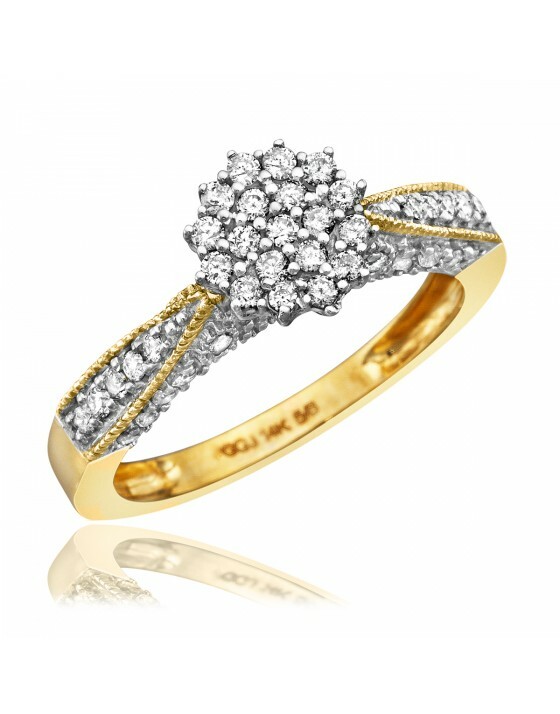 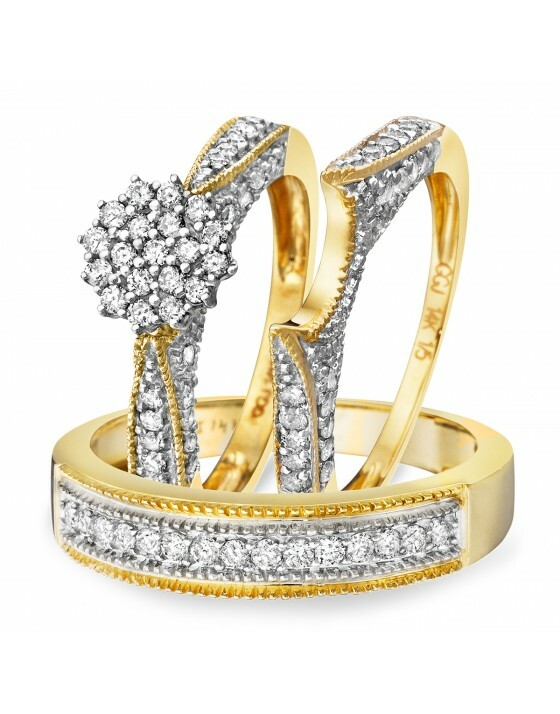 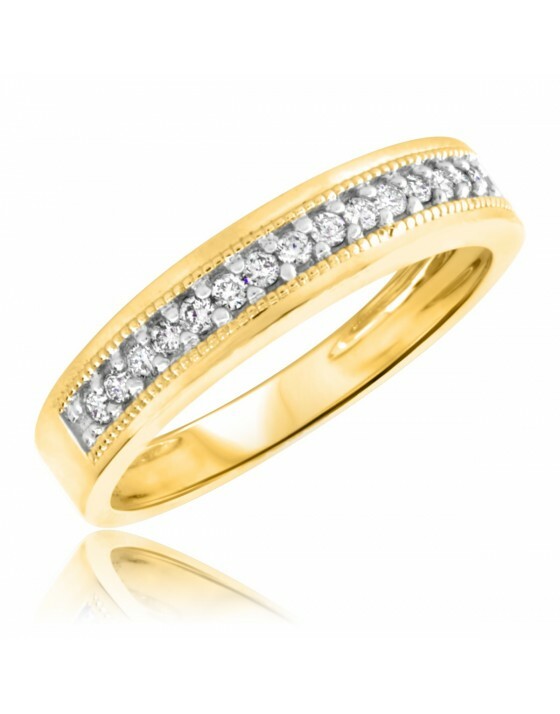 It features a row of 15 bright round cut diamonds embellished with edges of intricate milgrain design in sparkling 10K Yellow Gold.